This durable 17 oz. insulated bottle features the Camaro signature and Hood Stripe logo in silver over a black-matte finish. 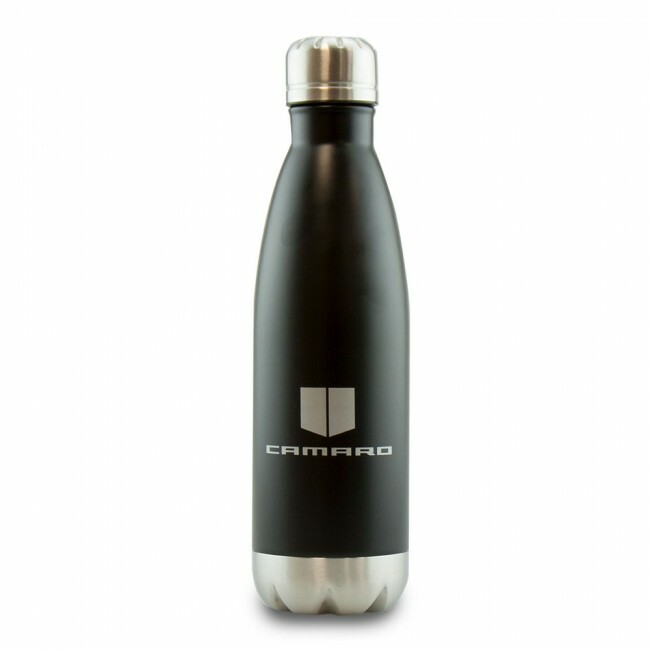 Constructed with double-wall stainless steel, copper plated inner wall, and threaded insulated lid. It’s vacuum sealed to keep drinks hot for 12 hours and cold for 24!